in thirty minutes, past the folded hills of dry farms, where a handful of families farmed hundreds of thousands of acres of potatoes and barley. The spuds ended up as the ubiquitous French fries that fattened the nation and the barley fermented into beer in local breweries. Those tillers of the soil ate the former and shunned the latter, praying for rain to wet the crops and praying more when it didn’t come, which was often. As the elevation rose, the farms broke up, giving way to fragrant stands of Utah and Rocky Mountain Juniper. Higher still, a solid mass of pine forest covered the mountains. On the other side of the mountains was Green Canyon. To get there you had to pursue a separate route, skirting around the chain of mountains thirty miles to the east. In the floor of the canyon several hot springs surfaced, and the earth, like a clenched fist, generated heat by that clenching, and through its knuckles the water flowed, sulfuric and steaming. Back when Wendell came home from college in the summers he used to go to Green Canyon in the night with his friends to lie in the water and watch stars fall. He met Lily there. He had come with a group of friends, and when they got to the hot springs, a woman was sitting alone in the water. She was there, surrounded by all that sensuous breath-of-earth steam. Eyes, hair, forest, and sky—dark each, darker all. That got him. How could it not? The pavement ended with the farms and a narrow gravel road ascended into the hills. Wendell drove with the window of his brown Ford pickup rolled down so he could smell the trees and hear the rock crunching under the tires. His stepson Sloan slept against the door on the passenger side, his tousled hair appearing to climb the glass of the window like creeper vines. The boy could never go more than a few minutes in a vehicle without falling asleep. “I’m just going rest my eyes,” he’d say, never committing to more than that. Wendell heard Sloan’s breathing loudly through his nose, his bare feet propped up on the dashboard. The afternoon sun slanted through the windshield, illuminating in a silvery sheen the film of dust and bugs on the glass. Washer fluid would only smear it blindingly. Wendell leaned out to see the road. At the edge, yellow grasshoppers wing-buzzed and white butterflies flitted in the long yellow grass, as if the ground were too hot to touch. If there were a river nearby, there’d be ample enough for the hooks. Above the sky was cool and clear, paler than usual. Fall is the time to be in the woods, Wendell thought. Everything redolent with the stench of life. With eating and mating and the mad vibrant rush of readying for the four-month’s white sleep. So the two set out together for a night in the woods. Wendell did it, not grudgingly, though he would have preferred to be by himself, or with Lily. But the woods were and had always been his thing. Sloan appeared to be taking it in stride, yet Wendell suspected he was uneasy about being alone together for such an extended time. A first for them both; Wendell wanted it not to be the last. He understood the implications. No more Sloan meant no more Lily. A mathematical simplicity, really, but in Wendell’s head, it didn’t seem that way. Not that Sloan was a bad kid, as he saw it. Quite the opposite. The boy wasn’t a nuisance, didn’t often misbehave. In fact, around the house, he was quite helpful. He did his chores most of the time without complaint, and Wendell recognized the rareness of that quality in boys Sloan’s age. He was always asking Lily if he could help. If she was baking cookies he was in the kitchen—Can I help? If she was folding laundry he was at the dryer—Can I help? And maybe for Wendell that was exactly the problem: the boy was constantly under foot. Even a helpful presence can be too present. Wendell had grown up without siblings. His own parents were fairly removed, essentially allowing Wendell to navigate for himself the sensate mazes of puberty and teenage-life. During high school and after, when stressed by school or friends or work, he didn’t mope, didn’t turn to drink or drugs. Instead, he sought solitude in the forest, driving slowly down empty dirt roads. Walking quietly through the trees. Sitting among boulder strewn streams, toes numbed by crystalline water so cold it had mere moments ago been glacial ice. By the time he met Lily, his life was his—a solitary one. He made space for her, but Sloan there made for a tight fit. They were in the forest now, and the trees were close to the road. Rains old and now dried had rutted the gravel, and Wendell drove on the side, straddling the tire-deep grooves. As the pickup crested a rise Wendell saw a clearing on the left. He eased off the gas and cranked the wheels to get across the ruts without falling in. The truck made it, but the pickup jolted and Sloan woke up. “Is this it?” he asked. Wendell pointed to the clearing. Wendell unloaded the gear from the bed of the pickup—a pumpkin-colored three-man tent; two blue down-filled sleeping bags; Therm-a-rest pads; a black duffel bag filled with jackets, extra socks and underwear, matches, a folding saw, toilet paper, and dry food; and a cooler with meat, water, and ice. He put everything on the grass and paused to observe the clearing. Just the right size for a camp. Not so big that they’d feel exposed if the wind picked up, but large enough that they’d be able to see the stars when it got dark. Wendell breathed in the crisp smell of pine coming off the trees surrounding him, flashing in him the memories of a thousand afternoons, and he studied the trunks of several. He’d always admired the way the rusty bark of Ponderosas looked like something at the top of the tree was bleeding, the blood trickling down the trunk, staining the wood on its descent. When everything else was wet, their lee-side bark made good tinder, and more than once a very bad, even dangerous time for Wendell had been salvaged by such a tree. So it felt like being among old friends, to set up camp in a clearing ringed by these pines. Wendell had cleared a spot in the grass of sticks and rocks and was working on the tent. “Sloan, hold this,” he said. Sloan was out of the truck and crouched over the dirt, prodding an ant hill with a stick. He was wearing shorts and an orange T-shirt with Brookfield Zoo emblazoned on the front. His feet were still bare. Sloan walked over, carrying his stick and held one end of the pole in the jake’s foot while Wendell worked the other side. When the tent was pitched, they put inside it their gear, laying out the sleeping bags to loft. The cooler they set in the shade at the base of a pine tree. Wendell eschewed the cautionary measures of the ursaphobes, as he called them. He’d never once had any problems with bears. Sloan was back at the ants, worrying the little colony with his stick. “Did you find a trail?” he asked without looking up. Thirty yards ahead and walking across the road were a mule deer doe and two fawns. They moved without sound in single file. The doe was lean, her neck slender and white beneath the dark of her nose and eyes. The fawns had lost their spots. Just lighter in color than the doe, erect in every way, they held their heads high and their legs straight with a little bouncing in their walk. They were slightly built, but moved jauntily. They haven’t struggled for food, this season, Wendell thought. Get it while you can. He wondered if either or both would survive the winter. He thought they had a good chance. Winter wasn’t forecasted to be a bad one, though you could never tell. Come spring they would be on their own, but now they were still learning and they followed the doe. Wendell just started walking down the road. Sloan was humming again. Then he said, “Wendell, did you see the deers?” Wendell didn’t answer. Sloan started humming again and walked with his sandals slapping his heels with each step. “Then be quiet,” Wendell said. There was more to say, but he didn’t. He started walking again. They walked most of the rest of the way to camp without talking. There was no shortage of downed timber, all of it dry. Even large branches cracked easily from trunks with minimal effort, and Wendell enjoyed the godlike cleaving of wood nearly as thick as his own torso. It took only a few minutes to collect enough to last the night, with plenty to spare for a fire in the morning. The first match struck on a rock lit, the tindry flaming up with its firework smell. The wood was dry enough, no need for grass. Using the toe of his boot, Wendell cleared the earth in a ring for a fire pit, and he placed coconut-sized rocks at the edges. It was a small fire, right for the cool but not cold evening. They ate the food with their hands. Hot, they blew on it, and it was still hot. Their fingers burned from holding it. They had to juggle the bits of food, not unlike handling embers, and these bits they bounced around tentatively in their mouths until cool enough to chew and swallow. It coated their hands and slicked their fingers with grease from the meat, hot juice from the vegetables. The spiced steam they inhaled greedily in their nostrils, muttering guttural sounds and saying, oh, god, good god. The food tasted good and tasting good they ate it as they sat by the fire after their walk in these empty woods, accompanied the while by the pop-and-crack sizzling whacked-bones blaze. They ate all the food—stuffed, they would have gladly eaten more—and they licked clean their fingers and then drank cold water from the cooler. Wendell would have liked to have put the bottles in a creek, but there was no creek. Still, it was not less than adequate. After they ate the food Sloan uprooted a handful of grass and tossed it into the fire. It crackled and thick smoke billowed up. “Don’t do that,” Wendell said. Sloan pulled from his pocket the knife and started playing with it again, opening each of the three short blades one at a time and closing them in turn. The clearing and the sky grew dark. The sun was down, and there was some light still above the trees around the clearing, but the light was going and soon it would be gone. Aside from the color of the fire, Wendell and Sloan saw things in shades of gray as animals do. The fire was nicely loud and from time to time the wood would pop, shooting tiny going-going-gone sparks that rose on the air like a feather on an updraft of breeze. Twice with the bottom of his boot Wendell snuffed out embers that shot onto the grass. He rubbed one into the dirt and thought about the deer. They had not been there when Wendell and Sloan walked up the road, but they were there on the way back. In between was only a minute or two. The deer must have been close to the road. They must have been close enough to watch the men. Close enough I should have seen the first time, Wendell thought. At least Sloan got to see them, short as it was. He watched the fire and thought of Lily. It had been so easy, falling in love with her. Being with her was like being in the woods. Just as wild, just as safe. Her beauty was obvious. But if he paid attention, if he was quiet, then she showed him things that others didn’t see, couldn’t see. It made him feel good to see in her what others didn’t. The boy was another thing. Not that he disliked him, but that the feeling that came so naturally for Lily didn’t come for the boy. He hoped it was something that could grow, but it was a seed he wasn’t sure how to nourish. He wondered if he were ground in which it could grow. He saw the boy looking at him. “I heard a wolf,” Sloan said. Wendell cocked his head. “I didn’t hear anything.” He looked up. It was dark enough that above the glow of the fire he saw the faint prick of stars. He located red Sirius as he always did. And as he always did he envied with a fleeting bitterness glittering Orion, whose hunting dog could never be killed but remained always by his side. He didn’t dwell on it. That was long ago. A little breeze picked up, and the tops of the pine trees susurrus swayed. Like rubbed silk, like snow on snow. “I heard one.” Sloan was sitting on the grass next to the fire with his legs crossed and his hands in his pockets. “They’re scared of fire, right?” Sloan was looking around, jerking his head. They watched the fire’s orange grow red and weak as it died. The wind increased, and the night air became chilly. Wendell thought about the sleeping bags in the tent. It would be good to breathe the cold air as they slept. He thought about how your body remembers things your mind doesn’t. Remembering of muscle, memory of bone. He remembered the cold air though. He was ready for it. “Time for bed, Sloan,” he said. “Can we build the fire up a little?” Sloan said. “No. Not unless you want to stay by it to make sure it doesn’t take to the trees.” Wendell stood up and started for the tent. “Neither can I.” It was then Wendell realized he hadn’t brought a flashlight. The moon was new, just the thinnest sliver waxing crescent, a flash of fish in dull water, and the trees high around the clearing, so it really was dark. They stumbled their way to the tent and unzipping the bug-proof mesh, crawled inside. Sloan mumbled something in reply, which Wendell could not understand. He asked again. “I’m okay.” Sloan said quietly. “I didn’t mean it,” Sloan said and he put his hand out. Sloan just sat there. “I didn’t mean it.” He was crying softly. In the too much brightness of the headlights, Wendell examined Sloan’s hand. It took him a few seconds to find the cut for all the blood. The hand was covered with it. Then he saw it, a diagonal gash across the lower knuckle of Sloan’s index finger. It wasn’t deep. The blade had run under the skin like an apple being peeled. Far but not deep, and there was a lot of bleeding. Wendell hurried back to the tent, stumbling blindly after the headlights, and grabbed a roll of toilet paper from the duffel bag, wrapping a thick wad around Sloan’s hand when he returned. Sloan’s hand soaked the toilet paper and Wendell had to wrap it again. After a few minutes the bleeding stopped, and they went to bed. Later, Wendell lay awake in his sleeping bag listening to the rhythmic hum of the forest at night. As he lay there he thought about Lily again, and again about Sloan. Who am I to him? What does he see that made him so afraid he couldn’t tell me he was hurt? Impossible to make sense of the boy. He was like the sky above at that moment. So much dark, so little moon. Toward the middle of the night Wendell woke to the sound of branches cracking softly. He lay still in his sleeping bag, listening. He heard a faint sound like wood lightly scraped. Then he couldn’t hear anything. There was the high droning of insects, but that was all. And then even that seemed to stop. Wendell lay motionless a long time. He slowed his breathing to better hear and closed his eyes. He heard nothing. He convinced himself that he had imagined the noise when he heard it again. Then he heard breathing. A light, rapid breathing with something else he couldn’t make out. He thought about bears. He wished he hadn’t pitched the fly on the tent. Through the mesh he could maybe smell if it were a bear. Years ago, he carried a pistol with him in the woods, but he’d stopped doing that some time ago. He never needed it. He whispered, “Sloan,” but it was more a mere mouthing of the word. Sloan was asleep. Good, he thought. Wendell decided to make a noise, and he moved his legs. Just outside the tent there was a furious slapping of brush—whatever it was had been right there—and then it was quiet again. Wendell sat up and listened. He heard nothing. Probably those deer, he thought, though he didn’t believe it. “Sloan, be quiet. Let me listen.” From outside the tent, another howl. And then, on the opposite side of the tent, a new voice rose, answering the first. Unbelievably to Wendell, and closer than the others, came the yelp of a third animal. Splitting the air, it sounded like it came from within the clearing. He listened hard, still amazed, trying to discern just where the third and closest animal was. 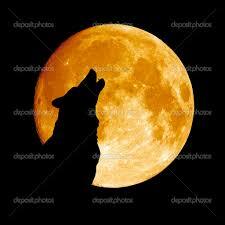 But he could only hear the howls, which now rose in quick succession. Now he only heard two. Perhaps the first and the third were not two but one. He couldn’t be sure. As Wendell sat there listening, a stream of coldness and a heat coursed simultaneously through his body. How is this possible, he wondered. Wolves are notoriously shy. Why have they come so close. Surely, they can smell us. He tried to name his fear, and so naming it, dispel it. He wasn’t afraid of the wolves—wolves don’t attack humans—but he was afraid. It was the boy. The boy made him feel vulnerable somehow. He realized that Sloan hadn’t spoken and he looked at him. He was huddled in his sleeping bag, a balled-up shape quivering in the dark. “Oh, God, Sloan, are you okay? Come here.” Wendell pulled the sleeping bag away from the boy’s face. His eyes were clamped shut. He wasn’t even crying, he was so scared. He was whispering something, and Wendell leaned it closer to hear. “Sloan, come here,” he said. Wendell put his arms around the boy and for the first time in his life held Sloan next to him. He was surprised how readily the boy came into his arms. What is this? More, he was surprised how good the warmth of him felt, a safety running both ways. He spoke aloud the words, “I’m not going to leave you.” He hadn’t known it before he said it, but saying it, it was as much to himself as to Sloan. “I promise, Sloan. I’m not going to leave you.” Named, his fear he saw was not for the wolves. He recognized Sloan’s fear of being left as the twin of his own. What a pang is such a realization to a man alone—what bitter, what sweet. He thought of Sloan’s biological father, a man neither he nor Sloan had ever met, a man who slunk off alone to seek the woods of his own life. And he thought of his own parents and their near absence as he grew up. A simple thing it is to name. And the naming worked. He wanted to laugh and cry and he did squeeze the boy. “I don’t like it,” Sloan had said. They fell asleep that way, holding each other against the howling of the wolves. The wolves kept on for most of the night. The men secure, the wolves were something to listen to, but fear itself is a tiring thing and like spent fuel only lasts for so long. In the early hours of the morning, Wendell and Sloan drifted off to sleep, no longer hearing the three wolves somewhere in the dark outside their tent, their voices pealing through the black trees the refrain, I’m here. Listen, I’m right here.